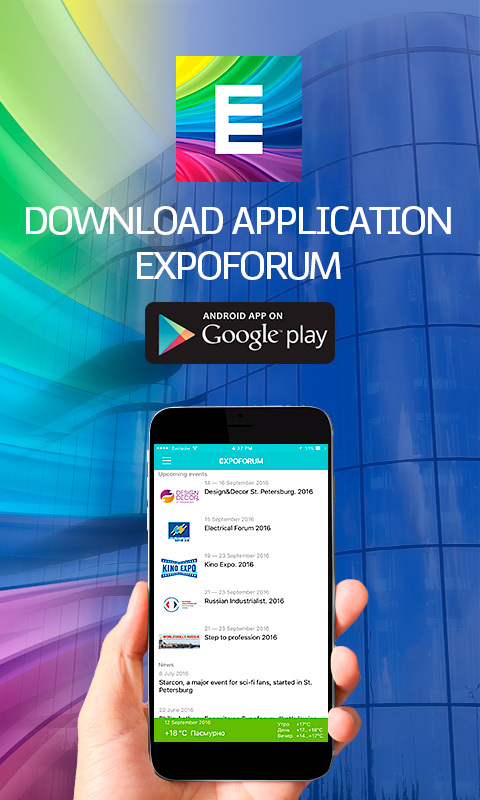 The status of the 'Association Relations Partner' of the International Congress and Conference Association (ICCA) opens up new opportunities for ExpoForum to promote on the international arena. A press conference on the St. Petersburg International Labour Forum took place at the TASS News Agency on 21 February. International partners of ExpoForum-International visited the trade fair on February 8: Vice Consul of India with his spouse, Consulate General of the Republic of Turkey and Consulate General of Spain. The EXPOFORUM Convention and Exhibition Centre has been nominated for Exhibition News Awards in the category Best International Venue 2019. For the second year in a row, the complex has made it onto the short list of the prestigious British award according to Mash Media – the largest media company in the global Event-industry. Feb. 8, 2019, 4:44 p.m.
On February 8, the Nevskiy Larets Trade Fair opened – the only project in the North-West of Russia destined to preserve and revive folk arts and crafts. More than 70 manufacturing companies and craftsmen from 15 regions of the country delight guests with their goods of all kinds – from metal art, stone and bone carving to lace-making and miniature lacquer painting. Feb. 8, 2019, 4:35 p.m.
On February 8, EXPOFORUM turned into a true treasury. The Nevskiy Larets International Trade Fair of Folk Arts and Crafts gathered representatives from 84 companies from all across Russia. Craftsmen brought all kinds of handmade masterpieces to St. Petersburg: silver dishes decorated with fables of Russian folk tales, unique ivory items, embroideries, various souvenirs and much more. Jan. 21, 2019, 5:03 p.m.
On 17 January, during the 8th Europe + Asia Event Forum (EFEA), a panel discussion “Management Trends of Exhibition and Congress Venues” took place. Participants discussed introduction of service quality standards and optimisation of business processes for platform management. Sergey Voronkov, CEO of ExpoForum-International, was one of speakers.